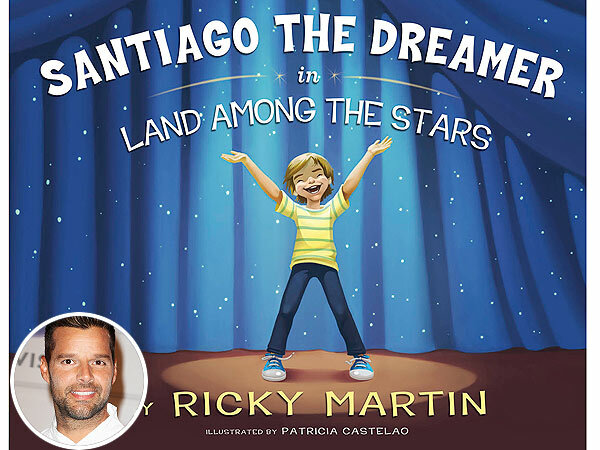 Ricky Martin can now add children’s book author to his resume. Three years after the release of his autobiography, the father-of-two shared news of his latest publishing project, Santiago the Dreamer in Land Among the Stars, on his WhoSay account Monday. “Exciting news! Here is the cover of my 1st children’s book, out Nov. 14th,” Martin, 41, wrote. On the same day, the ecstatic singer also gave fans a sneak peek of an uplifting quote from the book. “When you reach for the moon … sometimes you land among the stars.’ – Santiago The Dreamer,” he Tweeted. One thing’s for sure: come November, we know what Martin will be reading to 5-year-old twins Valentino and Matteo at bedtime. From basketball superstar to doting dad, Dwyane Wade finally opens up about his journey in his new book, A Father First: How My Life Became Bigger Than Basketball. Chronicling his struggles as a child growing up in Chicago and subsequent success as a shooting guard for the Miami HEAT — he won his second NBA championship with the team in June — Wade reveals his biggest accomplishments are actually off the court. In 2006, Wade was granted sole custody of his sons Zaire, 10, and Zion, 5. And since becoming a full-time parent, he counts his devotion to his boys as his first priority. “As a child I grew up with aspirations to one day be a professional basketball player, and I am living that dream every day as a proud member of the Miami HEAT,” Wade, 30, says. And although he’s grateful for his stellar career and countless awards — including being named MVP in the 2006 NBA Finals — Wade admits his sons remain the root of his happiness. “While my basketball career has brought me many rewards — including an NBA Championship in 2006 and an Olympic gold medal in the 2008 Summer Games — my children are the two greatest gifts of my life,” he explains. Recently, Wade teamed up with President Barack Obama to lend support to his Fatherhood & Mentoring Initiative, a program that mirrors the Miami HEAT co-captain’s strong stance on the importance of fathers playing an active role in the lives of their children.